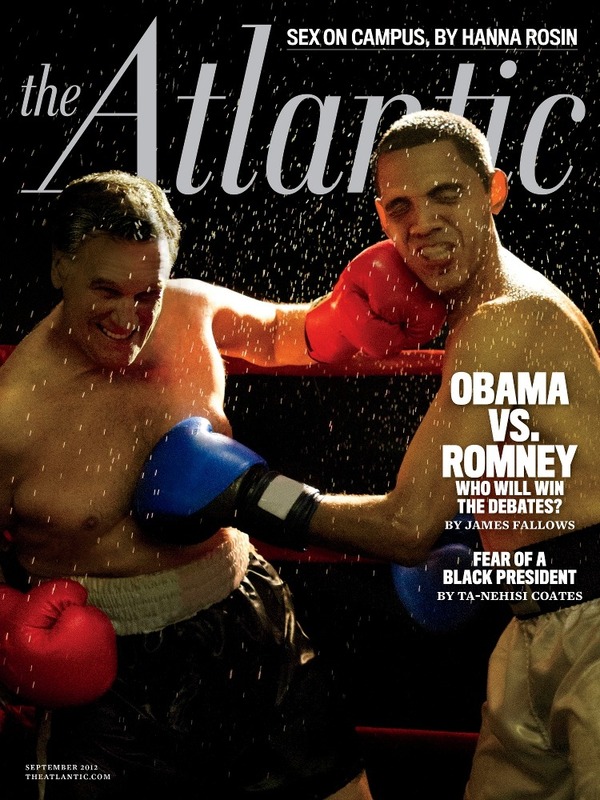 President Obama and Mitt Romney are now clearly in the ring for the first Presidential debate in October. The bell has rung, as we are waiting for the face-off and anticipating who will take the first blow. Over the past month or so, as it became quite clear who the contenders would be, both candidates have stepped up their game to win this upcoming fight in November. Some readers may assume that any young, American, female “kid” (easily categorized as someone who does not a) have a Master’s degree, b) own stock or a home or c) get enough on tax refunds to bank on a cruise to Venice next summer - yes, that would be “moi”) doesn’t have a place to speak into such political events. I admit many of us “kids” may be a bit aloof as to all that we should consider, for now and our future, when voting for the man who should take home the title as our America’s President. Honestly, when it comes down to voting time, outside of maybe a few minor speeches and views of party conventions and celebrity supporters of a candidate, most of what hangs on the final vote for the young and the old in this election comes down to performance. On the far right you have man who’s conservative lead has won over more than may have been anticipated. He is new to this Presidential match. And while he may not quite have face for GQ, or big names like Lady Gaga opening up for his convention, the the polls are seeming to rise in his favor. Though we know from past elections, this doesn’t always ensure a win, but as a Presidential candidate Mitt Romney has carried himself with a consistent confidence, what some call a Ronald Regan-like or JFK-like resemblance (though I’m certain many Democratic’s rolls their eyes at the comparison.) Mitt Romney can deliver ideas, debates and convictions quite clearly, believable, whether you agree with them or not. His background is apparently consistent and family life is stable and grounded. Though some don’t think this is worth considering when select a President, I highly believe it holds some considerable weight. Obama is comfortable, considerably cool (David Letterman has noted). He treads with a Rat Pack kind of collected swagger (I almost imagine a Sammy Davis Jr., sans the mustache, especially after discovering the guy can actually sing). Our President is a likable guy, the kind of guy you almost picture your Dad hanging out a with. Though many comment that our President is no business man and doesn’t know how to pull us out of debt, and that his past four years has only sunk us deeper, he knows what it takes to win. Four years has certainly equipped him to know where to punch and how to punch ( and being a President whose wife occasional covers Vogue and who will be highlighted in next months Glamour magazine, I’m sure his creative and well-equipped researching teams are prolific). After all, e has won this fight before. As we wait to see how these two conduct themselves face-on, their televised messages are a bit of a foreshadow of the the fights coming. There’s Mitt Romney’s ad highlighting Obama’s love for the upper-class party of “friends” during our strickened season of unemployment. Then there’s the Obama campaign message highlighting Romeny’s lark-like voice, claiming Romney’s frivolous outsource of employment to foreign countries is indeed “the problem.” These guys are just warming up and I’m sure their team of well-informed witty writers have collected more damage to rain down on the opponent by October. At least for now we have a good idea of all the backstabbing and mocking we’ll be seeing soon. It’s going to be an entertaining fight. While some may already be pretty sure who they will win, as they say, “it ain’t over ‘til the fat lady sings.” On one end you have an outstanding business man who knows how to create jobs and see some basic needs that he ensure’s us will be met, who also seems to be loyal and dependable, in nature while not attempting to lasso for us the moon in any extravagant promise of immediate change in our country’s current dilemma’s in order to win our vote. On the other end you have a man well-supported, well-liked, and some-what weathered, though likely overwhelmed and well-spent in this high-demanding line of work.